← The Rhine Again- going up stream now – a different story! Last week we motored from Munster to Henrichenburg on the Elms Canal. We only stopped there because I wanted to visit the barge museum and ancient boat lifts. Nuala said we have a schedule to keep but as I would love to see them we should stop. It was to have interesting consequences. Weeks ago Nuala had decided that we should get a new carpet for the boat (especially as we are selling it). We searched Berlin, Potsdam and Munster for a carpet for the boat, but the problem was that all the stores selling carpets were far out of town and we could not get there without a car. So we had more or less given up on the idea. Nuala with the bike and the carpet!! So we decided to stop in Yacht Club Henrichenburg which is actually in the channel leading to the old boat lift. Boat lifts were built to lift up or bring down boats from one water level to another. They are basically big bath tubs into which a boat is motored and then lifted up or down. For big differences in water heights it works well, as it can replace, up to 10 locks. If you remember we brought ‘C’est la Vie’ down the St Louis Arzviller Boat Lift in France (replacing 17 locks). 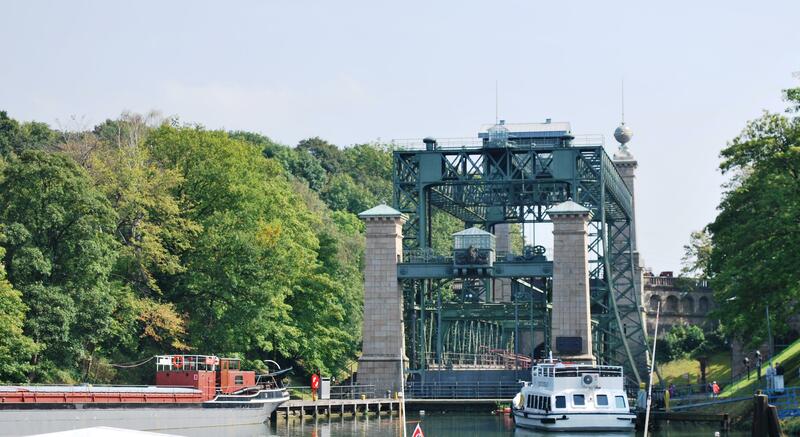 At Henrichenburg there are four generations of boat lifts starting with the first one, built in 1899, which worked until 1970. 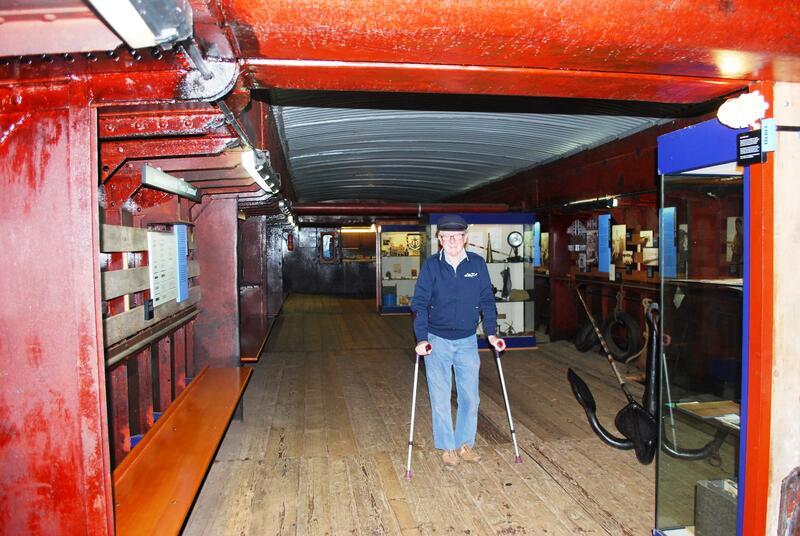 This is now a museum with a great collection of barge boat memorabilia including an example of a barge steam engine from the 1920s (even Nuala enjoyed it and now we know how our boat engine works – same principles as 1920). There was also a preserved example of a barge build in 1929, which had worked up until the 1970’s – a great museum and we enjoyed it. But the real interesting thing that happened, was when we arrived that night in Henrichenburg, we decided to go for a cycle around the town and we found a Hornbach (German chain for DIY stores) within sight of the boat. In we went and low and hehold they sold carpets!! 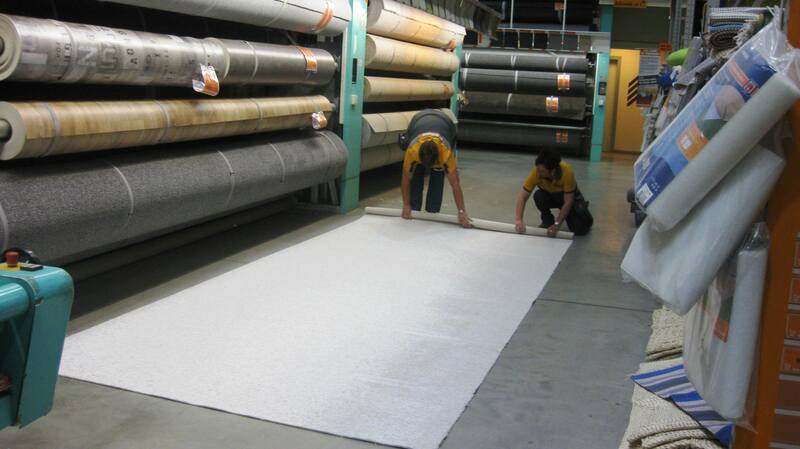 !We went back the next morning with our measurements and bought the carpet we needed. The next problem was trying to get it back to the boat. The Bauhaus did not provide a delivery service and there was no local taxi service. 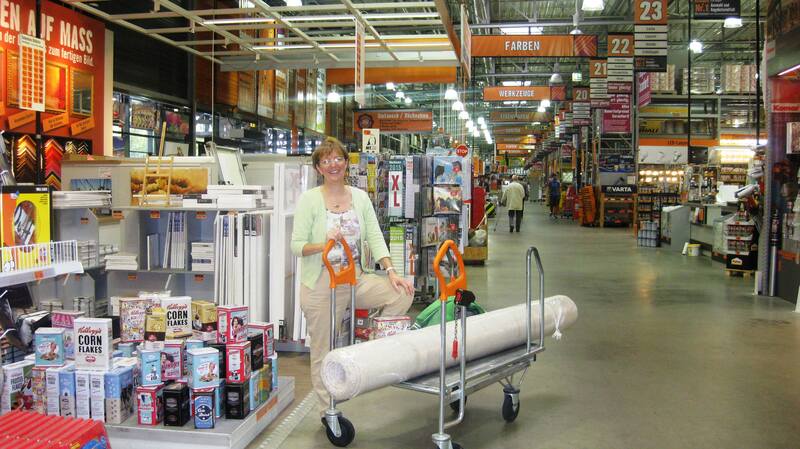 The staff in Hornbach tried to help and suggested that we hire a car for about €60. Then I said to Nuala its not too heavy, I am sure I can tie it to your bike and you can walk it back to the boat (it’s killing me I cannot do these things myself but my knee is not yet sorted). So I tied the carpet to Nuala’s bike and she got it back to the boat. In the meantime I went to buy bread and buy croissants. I got the bread but they had only one croissant left. I insisted Nuala should have it had it as she did such a great job of bring the carpet home! Again another coincidence on this Gap Year. 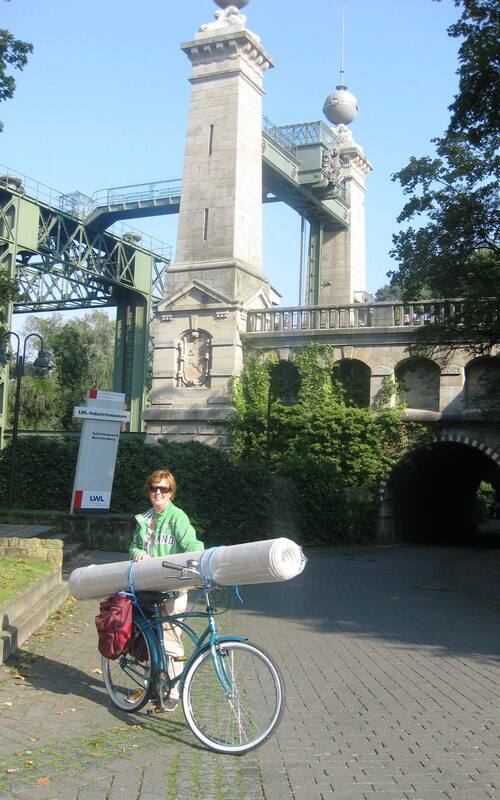 We had searched for weeks for a carpet and if I had not wanted to stop at Henrichenburg, we might never have found it! So I am learning to have faith that things happens for the right reasons. Now I have to find the time to fit it! This entry was posted in C'est La Vie - The Boat, Experiences on the Canals, front page, On the Journey and tagged Barge museum in Henrichenburg, Berlin, boat lift, Boat lifts, C'est la Vie, Coincidences, Elms Canal, Henrichenburg, Hornbach, Munster, Munster to Henrichenburg, Nuala, Potsdam, St Louis Arzviller Boat Lift in France, Yacht Club Henrichenburg. Bookmark the permalink.